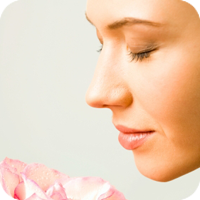 Relaxed breathing, also called diaphragmatic breathing, can help you relieve stress. Have you ever noticed how you breathe when you're stressed? Stress typically causes rapid, shallow breathing. This kind of breathing sustains other aspects of the stress response, such as rapid heart rate and perspiration. If you can get control of your breathing, the spiraling effects of acute stress will automatically become less intense. Relaxed breathing, also called diaphragmatic breathing, can help you relieve stress. Inhale. With your mouth closed and your shoulders relaxed, inhale as slowly and deeply as you can to the count of six. As you do that, push your stomach out. Allow the air to fill your diaphragm. Hold. Keep the air in your lungs as you slowly count to four. Exhale. Release the air through your mouth as you slowly count to six. Repeat. Complete the inhale-hold-exhale cycle three to five times.